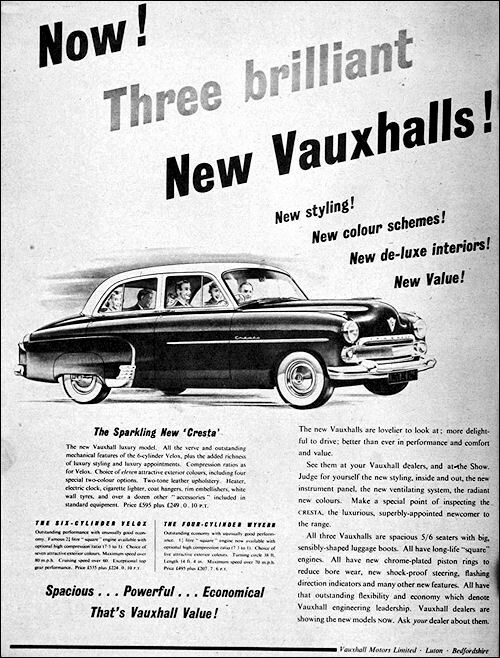 For many years before its pre-War annexation by General Motors, the Vauxhall firm (which recently celebrated its Golden Jubilee) was building a line of fast, rough, sporting and husky automobiles, such as the famous old 30/98 and 23/60-today regarded as classics among sports cars of any nation. The GM influence quickly combined American styling ideas with engineering concepts favored by the British public, and the outcome was something more polished, even if not so individualistic. 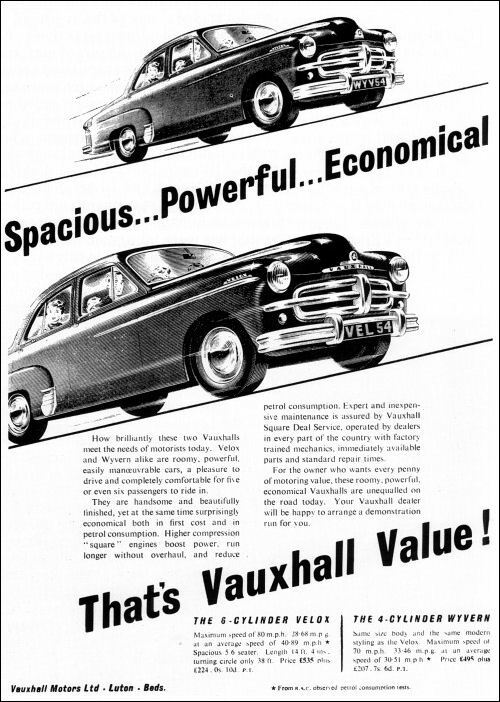 The evolution of Vauxhalls (if such it can be called) over a couple of decades, has led to the 1954 Velox and Wyvern models, which are almost identical in looks and, in fact, share a common chassis equipped with different power units. The Velox is for those who want a little more zip, while the Wyvern caters to the economically minded. Armchair comfort and exceptional legroom are therefore a feature of both models, which are designed to carry five passengers and their luggage. Minor modifications to the latest cars include upping the compression ratio, manual ignition control and better sealing for doors and windows. The instrument panel and details of exterior trim clearly show General Motors influence. What is less clear is why the Vauxhall Wyvern has not been exported to the US. 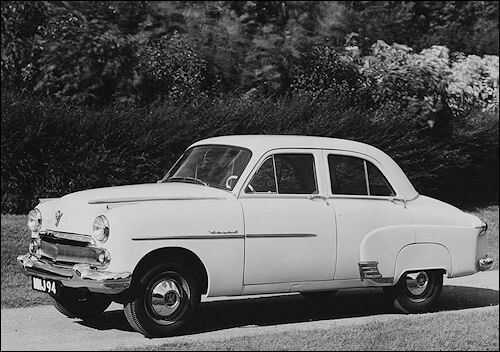 From late 1954 both models gained full width grille, with slimmer bars. 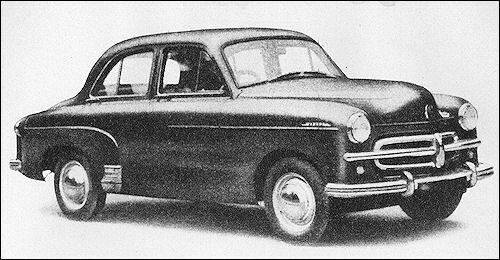 Cresta from 1954, is up market version of the Velox, with same mechanical spec but with two tone paint and interiors, leather trim, standard heater, clock, lockable fuel filler, rear wheel spats, and bonnet ornament.